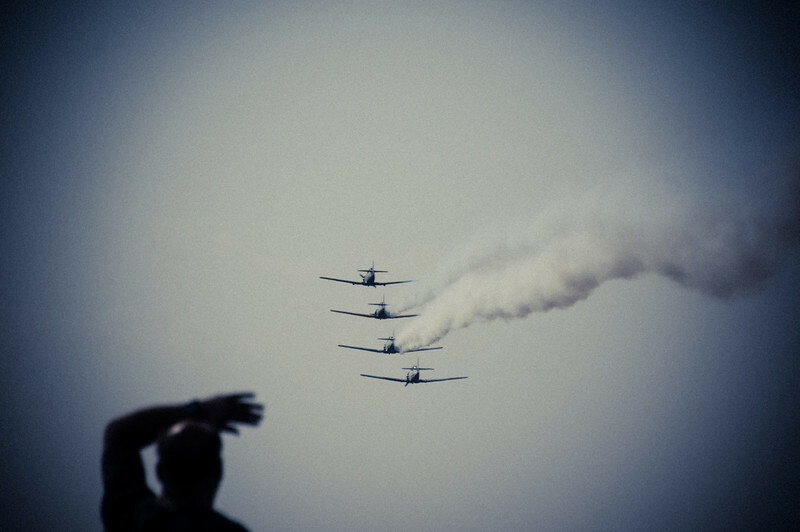 All day I was trying to avoid people in the shots of planes at the AirExpo 2012. This was held at the Flying Cloud Airport in Eden Prairie, Minnesota. So towards the end I left the airfield and went across the road to check out the planes on approach. Sure enough there’s a guy standing there straining to see into the hot mid-day sun. I was thinking of cropping the photo but this really caught the vibe of curious people like this guy trying to catch a glimpse of yesteryear.